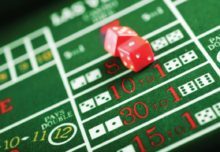 The visit of Chinese President Xi Jinping may have slowed gross gaming revenues towards the end of the month, resulting in gross gaming revenues for June seeing a 25.9 per cent uptick, instead of a consensus of a 30 per cent rise year-on-year. Revenues for the month hit MOP19.99 billion (US$2.48 billion), as compared to last year’s MOP15.88 billion, marking the eleventh month of consecutive increases. The results revealed by the Gaming Coordination and Inspection Bureau (DICJ) came in below consensus, but were in line with estimates by Union Gaming and Deutsche Bank. ‘As has been the case historically, second quarter gross gaming revenue of US$7.87 billion was modestly below first quarter 2017 gross gaming revenue of US$7.94 billion,’ note the analysts, furthering that the two year comparison shows a 15.2 per cent increase for June as compared to the 11.8 per cent rise for May. Analysts at Union Gaming point out that the ‘two high-level PRC (People’s Republic of China) visits to Macau and Hong Kong’ in the second quarter of the year may have affected revenue, which ‘would have fared better and would likely have exhibited modest sequential growth’. ‘As we head into the third quarter, we are currently forecasting 15 per cent year-on-year growth and 2 per cent sequential growth. This includes 18 per cent growth in July, 16 per cent growth in August, and 11 per cent growth in September’. The analysts from Deutsche Bank are predicting 7 per cent year-on-year growth in the fourth quarter, but ‘are biased to the upside due to what appears to be a return to some normalcy as it relates to historic seasonal trends, as well as the benefit of new supply’. Full year expectations are for a 14 per cent year-on- year increase. ‘VIP growth clearly continues to accelerate,’ note the Union Gaming analysts, pointing to ‘the easiest comps (comparisons) of the year’ as one of the main factors. ‘We expect VIP to come out slightly ahead in terms of growth rates in the second quarter. However, we expect the difference to be marginal (VIP +24 per cent, mass +20 per cent),’ state the analysts, pointing out in addition that they ‘are not seeing any material impact from the recent installation of KYC (know your customer) measures across Macau’s ATM machines’. For the second quarter, analysts at Deutsche Bank note that ‘we expect headline DICJ reported VIP growth, though misleading, will be up more than 30 per cent when reported on or around July 17th’.